Aan de Leisure Collection has had many new projects and ventures in the past two years. As most of you already know, the original Aan de Oever Guesthouse, which consisted of seven bedrooms, was expanded to thirteen bedrooms. The new extension was officially opened just in time, for us to host two groups of cyclists, taking part in the 2017 Coronation Double Century race that takes place in Swellendam in November each year. The planning started in 2016, when we were able to buy the property next door to Aan de Oever. 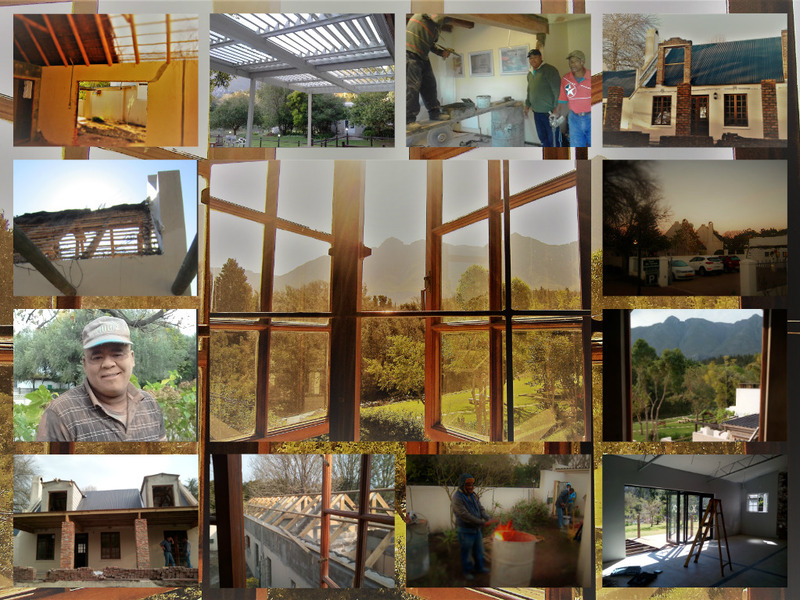 Building commenced with a fantastic team of contractors, managed by Lukie Steyn, Aan de Oever’s very own Maintenance Manager. In addition to these five rooms, another was built adjacent to the Aan de Oever swimming pool called Aan de Spruit, which is also a Luxury/Leisure or Family Unit. Aan de Leisure has also bought Aan de Heuvel Self – Catering unit in Swellendam, which was renovated and upgraded simultaneously to the building at Aan de Oever. This is a two bedroom cottage which sleeps four adults. It has its own outside pool and braai area and is fully equipped. We bought a second villa in Mossel Bay, Aan de Zee @ Pinnacle (Villa 7-4). It is situated on Pinnacle Point Golf Estate and obviously a perfect location for any avid golfer. Villa 7-4 is a two bedroom villa sleeping four adults. We are still growing into the golfing market, but believe that for us, this is going to be a booming industry in a year or two. To expand our Leisure Collection even further, we have recently bought the old “African Shades” in Swellendam and will be converting this into an 18 bedroom guesthouse called Aan de Eike. We intend keeping the existing restaurant open. This will be wonderful for our guests, as they will have the option of either dining with us or taking a leisurely stroll through Swellendam, to explore many other restaurant options. We hope to have this project completed by early 2019. We are very excited about it! If you thought we weren’t busy enough, we decided to do some much needed maintenance and improvement at Aan de Oever this winter. We have upgraded a few of the original rooms, Guinea Fowl, Blue Crane, Hadida and Tinktinkie with a “Fresh, Modern Look” thanks to Fienie Steyn and Geesje Raubenheimer, who do all our interior design. 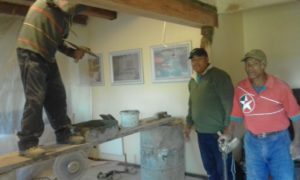 The other three rooms, Bokmakierie, Barn Owl and Kingfisher will attended to soon. We are putting a roof on the deck area, with large glass sliding panels, which can be opened or closed depending on the weather. This will enlarge our breakfast area and give guests a spectacular view of the mountain, while they enjoy their breakfast. We have redesigned the office, making a more welcoming reception area. Obviously this is going to be fabulous for the reception ladies too …. happy staff = happy guests! Watch this Space for further development! We will keep you posted.